Elizabeth Mugar Eveillard (Betty) grew up in the Boston, Massachusetts area. She graduated from Smith College in 1969 and after working for a year attended Harvard Business School. In 1972 she began a 30-year career in investment banking. Since retiring in 2003, Betty has served on a variety of for-profit and non-profit boards. She recently retired as Chair of the Board of Smith College. 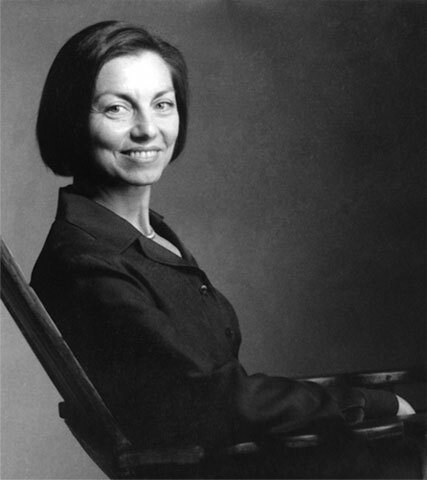 Presently she serves as the Chair of the Board of The Frick Collection. Upon graduating from Harvard, she joined Lehman Brothers investment banking division where she rose to the level of Managing Director and Co-Head of the Merchandising Group. In 1988 she joined PaineWebber as a Managing Director, heading its Retailing Group until the firm was sold in 2000. She then joined Bear Stearns, retiring in 2003. Over a 30-year career, Betty worked on a wide variety of transactions. At Lehman Brothers, in addition to working in the New York office, she spent three years with their London office. She also worked in the firm's Mergers & Acquisitions Department specializing on the sale of companies before becoming a Managing Director and Co-Head of the Merchandising Group. Betty acted as the retailing investment banker on transactions such as the IPO of Tiffany, the sale of Kohl’s Supermarkets to A&P and the sale of Associated Grocers of Arizona to Fleming. In 1988, she joined PaineWebber to manage its Retailing Industry Group. For over 12 years, until PaineWebber was sold in 2000, she was responsible for client development. Her clients included Staples, Barnes & Noble, Petco, Men’s Wearhouse, Escada, Vestar and Investcorp. She advised family businesses such as St. John Knits and Spec’s Music in the sale of the companies. She represented Vestar in its later acquisition of St. John Knits and Investcorp in its acquisition of Star Markets. In 1999, Betty was featured in the PaineWebber annual report as the banker responsible for originating and strategizing the sale of Giant Foods of Washington to the Dutch supermarket operator, Ahold. This was one of the largest M&A transactions in PaineWebber history. After the sale of PaineWebber, Betty was recruited to Bear Stearns where she originated transactions with Limited Too, Carolee and Birks, among others. Betty retired from investment banking in 2003 and was asked to join the boards of Limited Too (later Tween Brands), Birks & Mayors and Retail Ventures, the owner of DSW which was later spun off in an IPO. Smith College and Glimmerglass Opera also asked her to join their boards at that time. During her nine-year term on the board of Glimmerglass, she was the Chair for five years and helped recruit Francesca Zambello as Managing and Artistic Director. She has been a Life Trustee since 2012. In 2012, OperaAmerica presented her with its National Trustee Recognition Award. After serving on the Smith board for nine years, Betty was elected Chair of the Board for a four-year term ending 2016. In 2017, she received The John M. Greene Award for service to Smith College. She serves as a trustee of The Frick Collection and in 2017 was appointed Chair of the Board. She is also a Managing Director of the Metropolitan Opera, a trustee of the Kress Foundation, a director of Master Drawings and a director of The Friends of Chantilly. She has been invited to become a member of the visiting committees of the Department of Drawings and Prints at the Morgan Museum and Library, the Department of Paper Conservation at the Metropolitan Museum and the Smith College Museum of Art. Betty is married to Jean-Marie Eveillard, formerly the portfolio manager of the Sogen International Funds which is now the First Eagle Funds. Jean-Marie currently serves as an advisor to the First Eagle Funds. He is the recipient of numerous awards including Morningstar's Lifetime Achievement Award. They have two daughters.